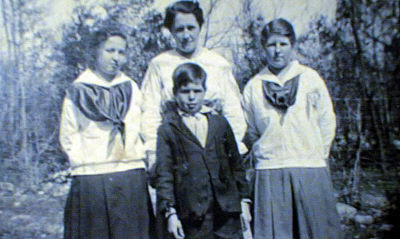 Jesse Savella Combs, Mary Agnes Underwood-Combs, Alva Combs and Lee Roy Combs in Front. ???? I think that Jesse Savella Combs is the person on the left? ?